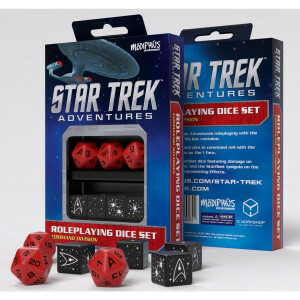 This dice set complements any Star Trek roleplaying session. 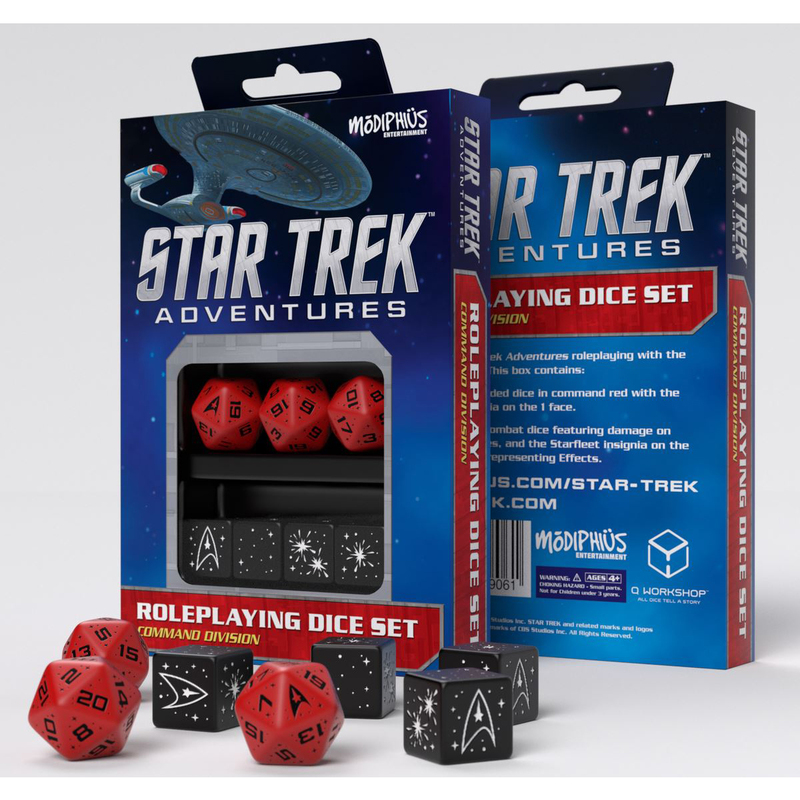 It contains 3 twenty-sided dice with the Starfleet insignia on the "1" face and 4 six-sided dice for use as Combat Dice with the 2d20 system. The six-sided dice feature damage symbols on the 1 and 2 faces, and the Starfleet insignia on the 5 and 6 faces, representing Effects.